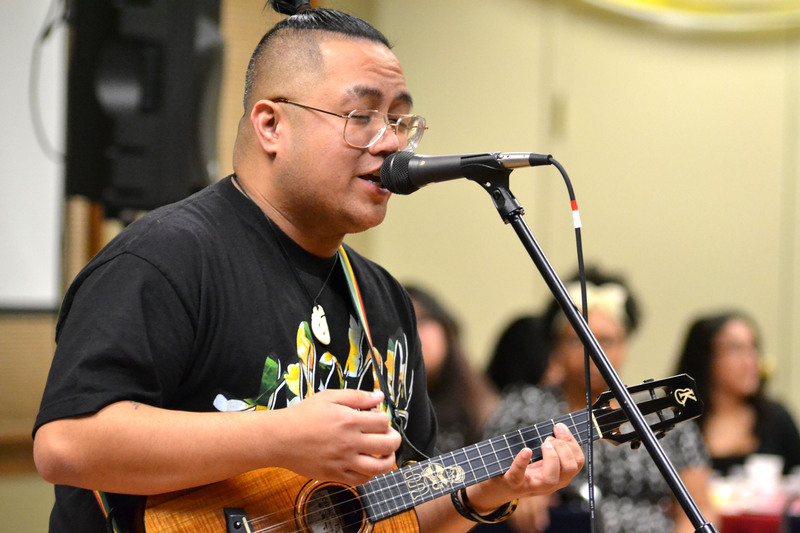 On Feb. 28, Saint Martin’s University’s Filipino Heritage Club hosted its annual Barrio Fiesta, a casual Filipino festival, in the university’s North Worthington Conference Center from 6 p.m. to 9 p.m. For the price of $7 ($5 or 2 canned goods for students), all could attend. 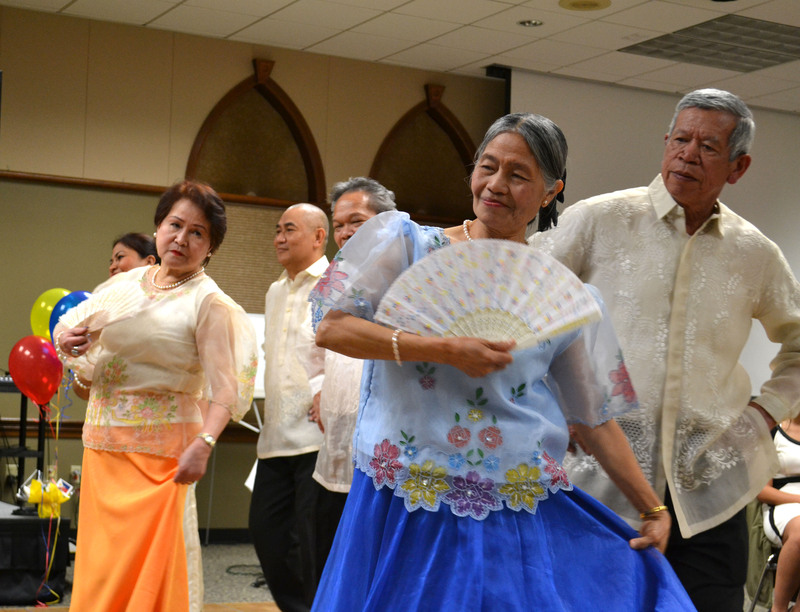 This festival was held “to share [Filipino] culture” with those who participated, said club President Jesse San Nicolas. The event brought in more than 144 people. There were “so much more people than I expected. Almost triple the number from last year,” said vice president of the club, Genevieve Gottwald. After blessing the food, club members served a selection of foods provided by Dito Tayo, a Filipino Restaurant in Lakewood, WA. The menu also included deep fried spring rolls with ground beef and veggies, known as Lumpia, and Lechon Kawali, simmered and deep fried pork belly. Along with the main course, the Filipino Heritage Club served a dessert of fruit salad. Not mentioned in the menu was Puto, a sweet rice flour cake topped with shredded cheese. Although the unexpected rise in guests led to a brief shortage of tables, food supply “was not a problem,” Gottwald said. While they allowed the attendees’ food to digest, the Filipino Heritage Club provided 2 hours of entertainment, breaking up each performance with prize raffles and party games. Performances included a dance number from the SMUth Moves dance crew, Carinosa and Tinikling dances performed by the Filipino Community of South Puget Sound, and several island dances presented by SMU’s Luau Performers. Games consisted of “Guess the Filipino Word”, an “Ocho Ocho” dance competition, and a blind sauce-tasting quiz. Prizes for games and raffles included: $15 Starbucks gift cards and a gift basket filled with various goods. San Francisco singer and songwriter Melvin Gutierrez wrapped up the event with a series of songs, featuring originals “All Over Again” and “Taste the Raindrops,” followed by picture taking and an autographing session. Gutierrez delights the crowd with his singing. By the end of the event, the Filipino Club had raised $925 in admissions and raffle tickets, exclaimed club officer Apryle Donato. They also received over 100 canned goods to donate to charity. In light of this unexpectedly high turnout, Gottwald would like to give “thanks to everyone who helped put together this Barrio” on behalf of all in the Filipino Heritage Club. Wow, James! Good job on this article! It really makes me want to come to Washington and attend your barrio fiesta. Maybe I’ll visit next year.